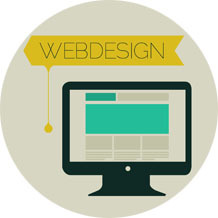 Colorado Web Design and Development, cheap web development in the colorado area and beyond. Website Design, Website Development & Marketing in Denver, Colorado. Are you a small business looking for an affordable website? Well, you are in the right place! Immaculate, engaging designs that help increase sales. WordPress based sites, coded by professionals. Align your website & business objectives to reach your goals. Provide your website with fresh content, new images and the extra attention it needs. Website Design, Website Development & Marketing in Denver, CO. Provide your website with fresh content, new images and the extra attention it needs. Keeping your website up to date, keeps your customer coming back. 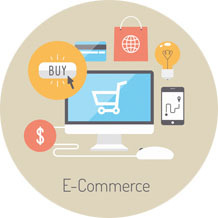 Need help with product setup, site configurations or content entry for your online store? Look no further, we can help you. Have a Magento site, but don't know how to use it? 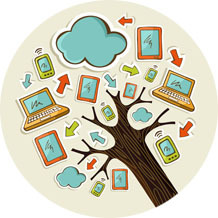 We can help you learn the basics, or get more in depth with this powerful CMS. We can get you off the ground with brand development, a logo, business cards, a website and more. Need a Flyer, brochure, business cards or folders? We can help you with the works! Sometimes you just need to talk. Let us give you the advice to align your webiste & business objectives to reach your goals. We can help you develop a marketing plan. Facebook posts, Twitter tweets, Instagram images and more. Stay updated with social mediums that you need to gain traffic & attention. Bad grammar, poor spelling, and incorrect formatting can make your business look unprofessional. We can fix that! Feel like your website doesn't show your wit and humor? Want to sound more serious? We can help your voice shine. Call 970.302.8328 or email info@jbkwebsitedesign.com us today. JBK Website Design, website development loves creating unique design solutions that provide a clean, easy to navigate experience for for the visitor and reflects our clients’ business. Take a look through our portfolio by clicking on the images below. Jenny is so easy to work with!! I gave her very little direction/information and she was just able to run with it. 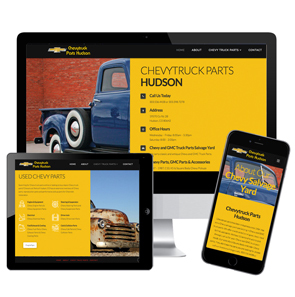 I knew she didn’t know much about Chevy parts but the site she created you’d never guess that! She even impressed my business partner, who wasn’t keen on the site rebuild. After Jenny came to our office, showed him how it worked and explained SEO, he was sold and dear I said impressed! Thank you Jenny for building us such an awesome site. 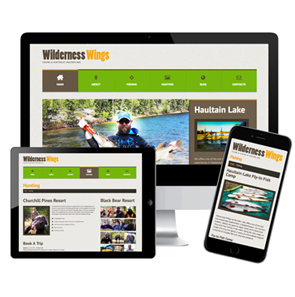 Jenny created an amazing website for my hunt/fish camps. The site I had before wouldn't even load images and now I'm able to showcase our trophy catches so our guests can see how truly amazing our camps are in Saskatchewan, Canada. This website shows our guests just want to expect when they book a trip in a stunning way. Jenny made the website creation process very simple, affordable, and stress-free! I gave her very little directions and a bunch of images and she captured exactly what I wanted my guest to see. I would recommend JBK Website Design to anyone, especially small business owners looking for an easy and affordable online solution. JBK Website Design created a beautiful author/book page for me! As a self-published author trying to "do it all" in terms of editing, publishing, and marketing, JBK Website Design made the website creation and design process very simple, affordable, and stress-free! I absolutely LOVE how my website turned out. It's EXACTLY what I wanted! I would recommend JBK Website Design to anyone, especially small business owners looking for an easy and affordable online solution. Jenny is very professional, knowledgeable, and has a keen eye for design. I have worked closely with Jenny as she organized and created the website for my photography company, www.raw-reflections.com. Knowledge, passion, dedication, promptness and expertise are qualities that I most look for in a professional relationship. Jenny exudes all of these qualities and then some! I was extremely impressed with her work ethic and will use Jenny over and over again for all of my website design, website development and marketing needs. I absolutely love the website JBK built for me!! JBK Website Design, Website Development built our site quickly and professionally. They do monthly updates for us too so our site always stays up to date. We love working with them! They are professional and fast at what they do. Great price, fast & looks so professional. They were definitely the right choice. Jenny got our website completed in no time flat. It's such a huge improvement from what we've had, simply beautiful. We really enjoyed working with her and wold recommend her talents in website design, website development and marketing to anyone. It's been excellent working with Jenny at JBK Website Design, Website Development. She has built me 2 websites (constructiongolden.com & chestnutapartment.com). 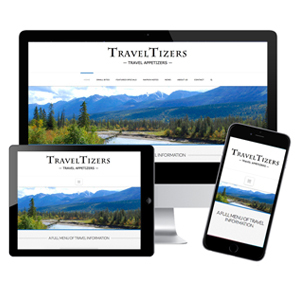 Each site works & looks great on desktop, tablet & mobile (responsive design/development). She made the whole process easy too. She is professional, polite & energetic. She found images/took photos for my sites, wrote the text & created the website architecture. She also does weekly/monthly websites updates as needed. She is extremely quick and affordable. Her knowledge of website design, development, architecture, SEO & marketing are impressive to say the least. Putting my online marketing in her hands was certainly the best decision my companies could have made. If you are looking to drive clients to your site, I would highly recommend Jenny at JBK Website Design. Jenny is all in with her work. 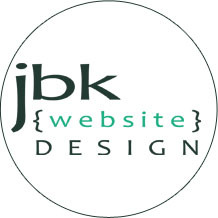 It has been a pleasure working with Jenny and JBK Website Design, Website Development. She understands your time is valuable and minimizes the amount of effort you need to contribute. Her work is professional, neat, and timely....plus she knows how to get your company at the top of the search engine list. The best thing about Jenny is that she is borderline millennial, which means she has the tech know how and the work ethic. Certainly one of a kind when it comes to website designs! Jenny was an excellent team leader and organizer in a very chaotic environment with many moving parts. Her direction and management skills were the primary reason that client projects were delivered on time. Jenny is a true professional that I would highly recommend her for any website design, website development and marketing project. Jenny was instrumental in keeping our website design, website development projects on-track when we were converting from Infusionsoft to Magento + OrderGroove. Jenny really acted well as our advocate. I've been interested in hiring Jenny for my own agency if she'd only come to California! Having Jenny as a Project Manager for my projects means the project will be well-managed, kept on budget, on time and clients are well-informed/updated every step of the way. 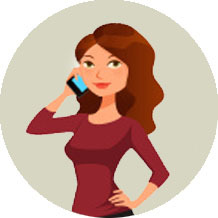 Her knowledge and expertise in all aspects of website design, website development means she can give you sound advice on what works best for your business. She is very friendly, reliable and her positive energy at work is contagious. It has alwsys been a great pleasure working with Jenny and I highly recommend her. One of the most critical elements of success when working with a development partner is having a knowledgable, intelligent and trusted project manager to collaborate with. Enter Jenny Heguy... What a tremendous privilege it was to work with her on a complex project to migrate my client's site from NetSuite to Magento Enterprise. Her extensive knowledge of the Magento platform, and insights into "best practices" helped me to make informed decisions each step of the way. Her deep understanding of responsive web design, predictive marketing, magento extensions, and UX were instrumental in helping us achieve what I considered "lofty" but critical e-commerce goals. OK...and it doesn't hurt that she is loaded with energy, demonstrates an infectious "can-do" attitude, and is extremely well-organized!